Our Original Blend. 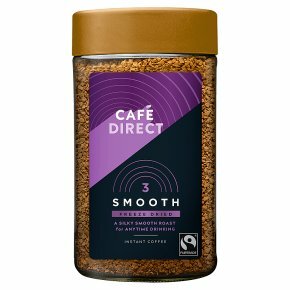 Smooth, rich and full bodied, a perfect blend of Latin Amercian Arabica beans and rich African Robusta, giving you a rich, rounded, deliciously smooth coffee. bursting with flavour. Fairtrade. Freeze dried. Ridiculously good coffee. A silky smooth roast for anytime drinking.Smooth and full-bodied, this blend of coffee beans from Latin America and Africa is to be enjoyed anytime.